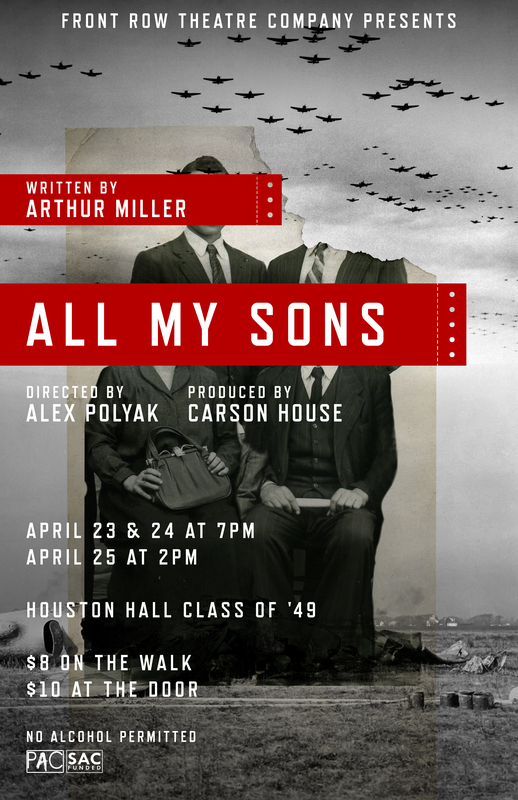 FTC Presents: All My Sons – Front Row Theatre Co.
Joe Keller, a successful businessman, lives comfortably with his wife, Kate, and son, Chris, in a suburban American neighborhood. They have only one sadness in their lives – the loss of their other son, Larry, in the recently concluded WWII. But when old feelings of guilt and blame get revisited, everyone in the neighborhood is forced to reassess the part they had to play in those tumultuous and unforgivable wartime years. Next Post Front Row Theatre Company is very excited to announce its 2015-2016 season!